Welcome to Marsden Martial Arts my name is Steve Marsden and I am the very proud owner of Marsden Martial Arts in Chesterfield. I truly do believe that children really are the future and Martial Arts For Children is an amazing way of investing in their education, health and well being, essential for their success. Some children need very special conditions to bloom. For example – The shy child. A Rose grows really well, and needs to be cut back and pruned to become focused, and ‘positive feedback and acknowledging the good ‘ are our secateurs to turn a wild rambling rose into a self disciplined plant, a plant that has big beautiful flowers. The high energy child. Daffodils ‘grow’ every where, Daffodils ‘thrive’ every where, Very successful in all conditions. What ever flower your child is, in the ‘Martial Arts Garden’, Martial Arts For Children will help them bloom with self confidence and self discipline and respect for themselves and others. These are our nutrients, sunshine and fertile soil. Our instructors are expert gardeners, nurturing, teaching and guiding with your help. Come and see how we provide the special conditions for each type of child to grow to their potential. Self Esteem and Self Confidence has been proven to increase in Martial Arts training – 10 times better than Team Sports – so whether you have the Karate Kid or aspiring Mutant Ninja Turtle at home, get them to a Marsden Martial Arts class and watch them blossom. With our Martial Arts For Children classes, we encourage confidence and look to develop within the child a strong sense of self discipline; teach leadership skills and allow them to flourish – instilling manners, how to act in public, how to cope with bullies and have the confidence to make right choices. Real life skills are taught and achieved while your child has the best fun learning to be Jackie Chan! We have vast experience in coaching children with all levels of skills and abilities, whether naturally gifted or those with their own challenges – shyness, anger issues, overly active at school and home, disruptive – we can offer something to them all. The teaching of Martial Arts to children can help in society as a way to stop bullying. With martial arts training we can help to end the nightmare and bring the bullying to an end, often without resorting to physical violence. No responsible parent wants their child to use violence to sort their problems but neither do they want their child to suffer at the hands of bullies. With martial arts training your child will exude a new confidence and self respect that projects outwardly so that bullies no longer view them as a sitting duck. Kids kickboxing, karate lessons for kids, jiu jitsu Chesterfield – Our Martial Arts For Children programs will assist your child to grow into a person who is aware of the needs of others and with the discipline and self control to make their own way in the world without having their lives made a living hell by another individual just because they are bigger and stronger. Every parent is keenly aware of the dangers of child abduction. We cannot keep children with us all the time. The only answer is to equip your child with the skills and knowledge to protect them from potential abductors. The 10 different approaches that abductors use to trick children away from their parents is taught in schools. They are also taught the 3 keys that abductors need to set their plans into motion. 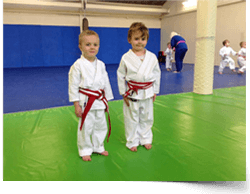 Martial Arts training – judo, karate, kick boxing and jiu jitsu in Chesterfield -can teach children strategies of escape, evasion and avoidance to ensure their safety. Armed with this knowledge reinforced through practice you can be as certain as is possible that your child has the knowledge they need to protect themselves from the real danger of abduction. I have taught 1000’s over the last decade here in Chesterfield and we have some incredible success stories, but seriously the only way for you to experience how powerful the Martial Arts can be for your child, is to experience first hand. If there is anything I can do to help please feel free to call me on 07702 801695. I am standing by, ready to serve and looking forward to helping you achieve all of your Martial Arts goals here in Chesterfield. Harry my son has been going for three years and really enjoys it. The teachers are outstanding, knowledgeable and careing.